Fighting like your grandfather: the meaning of "style"
Many years ago I had the good fortune to meet and train under Professor Bata Milosevic of the Belgrade University, a researcher of medieval Balkan fighting methods and the founder of "Svebor" - an attempt to collate these fighting methods into a modern system. "When you fight, you fight like your grandfather fought". By this, I think the professor meant that when you are faced with the pressure of a real attack, any semblance of "style" goes out the window and you fight according to your primeval instinct. While I greatly respect the professor, I disagree with him in this regard. I see any default to "instinct" under pressure (and a corresponding abandonment of any sense of "style") as a sign of insufficient training. 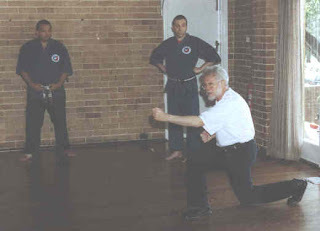 Doubtless, Professor Milosevic was drawing on his own lengthy experience as an aikidoka, noting how differently some practitioners of that martial art react when faced with real aggression. 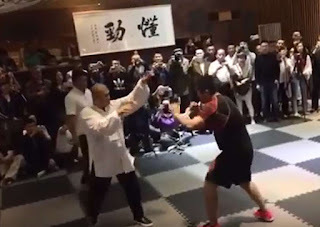 Indeed many martial artists from traditional backgrounds are prone to this syndrome; they train for years and years, yet when "push comes to shove" they do something entirely different from what their training dictates. How then does one reconcile this observation with my comment that the training was "insufficient"? 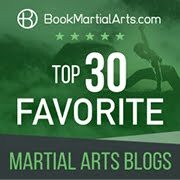 Surely these martial artists (many of whom have devoted their lives to a particular discipline) have had "enough" training? I would argue that while they have had a lot of training, the type of training needed to "bridge" the gap between the dojo and the street has been missing. It is in this respect that their training has been insufficient. With the appropriate "bridge" training, martial skills taught in a particular "style" can and should be applicable to the real world. In other words, training need not be a pointless exercise from a civilian defence perspective (which it would be if all your training went "out the window" the moment you were faced with a real attack). I think it is self-evident that training can affect your responses. Consider for a moment the example of fighter pilots: They train in fight-scenario simulators for countless hours. Many fighter pilots have gone straight from these simulators into aerial combat and triumphed over their enemies. It would be no use saying that they must have flown "like their grandfathers flew". Their grandfathers probably didn't fly anything. Even if they did, they certainly didn't fly modern fighter jets. Fighter pilots train to respond in a very specific way. Each air force teaches particular strategies and tactics - a style, if you will. The same applies to hand-to-hand combat. You needn't "fight like your grandfather fought". You can and should fight according to your training. Most traditional martial arts teach you a particular "style" of fighting - one where certain tactics and strategies are preferred over others. These "styles" are invariably the "styles" of an ancestral fighters, sought to be faithfully reproduced and preserved by subsequent generations. Inevitably, each fighter has his or her own "style", so this exercise is fundamentally doomed. 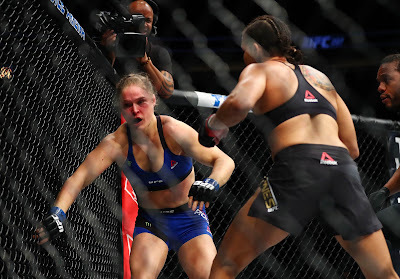 Nonetheless, this process does exert an influence on a fighter's individual style. 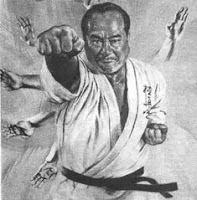 For example, each goju ryu karateka has a similar/recognised/related "style" that attempts to reproduce the mould of Chojun Miyagi. 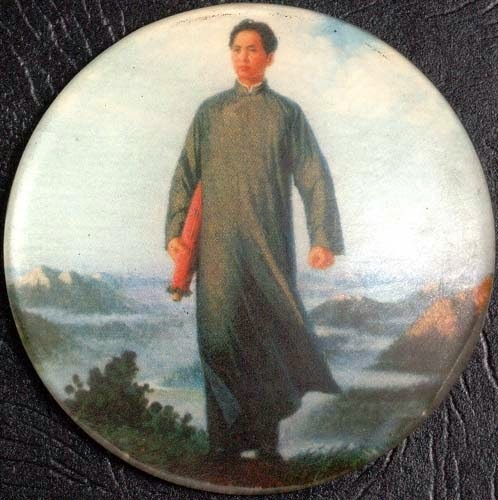 They will all necessarily fail in their attempt to emulate Chojun Miyagi precisely; but they will nevertheless retain some nexus to his preferred tactics and to his "way of moving". This is the case in "formal" movement (eg. 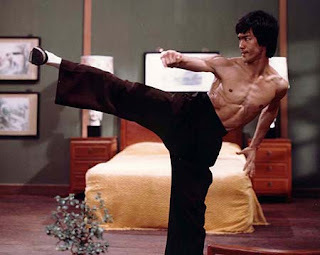 kata/basics) as well as in "informal" movement (eg. fighting/sparring). The style of formal movement might be different from the informal movement but the former will always influence the latter. I think that the most stark example of the impact of formal training on informal movement can be seen in shotokan karateka. They seem to retain their distinctive movement and tactics despite any other cross-training. 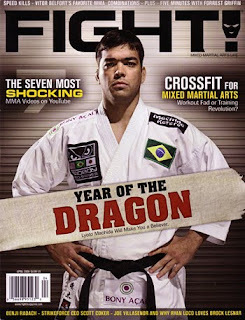 I have previously noted that UFC fighter Lyoto Machida retains the legacy of his shotokan karate even though he has absorbed a great deal of other movement into his personal "style". He retains the "counterpunching", the "in and out" movement etc. 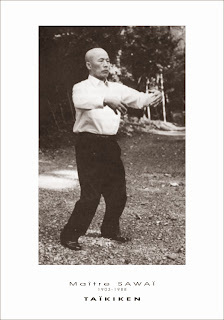 Formal shotokan movement has left a clear imprint on his informal movement. So I don't think one can discount martial "styles" as irrelevant or (as some would argue) illusory/non-existent. The argument that "there are no styles, only fighters" is true, up to a point; but fighters can be grouped according to what has influenced their kinaesthetics and general method of movement. Machida already calls what he does "Machida karate". In subsequent generations there will almost certainly be "Machida karate" schools, with students attempting to preserve the look, feel and tactics of Lyoto Machida's personal style. Invariably each fighter will be doing his or her own style. But they will probably still be recognisable as "Machida stylists", in much the same way as stables such as the Lion's Den have produced similar fighters such as Guy Mezger, Ken Shamrock, Frank Shamrock, and Jerry Bohlander. So "styles" do exist - at a personal level and at group level. No matter what your "style" is, the challenge is to find that "bridge" to the real world - so that you don't necessarily have to "fight like your grandfather fought". 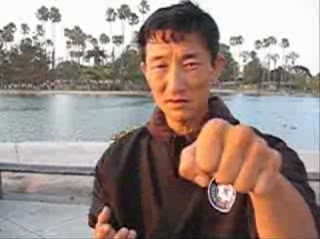 An interesting note: Taika Oyata has long said that, though 12 empty-hand kata are taught in the RyuTe system, it is inevitable that individual practitioners will gravitate to one or two, which will form the basis of their preferred body of technique. Point made, and well written. Insufficient training is a common cause of regression under pressure. 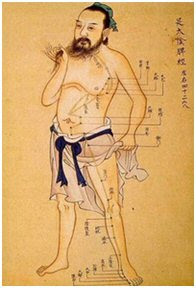 From experience so is fatigue or substantial skill differences making one's learned techniques ineffective. AFAIK the majority of styles leave it to the practitioner to bridge the gap. 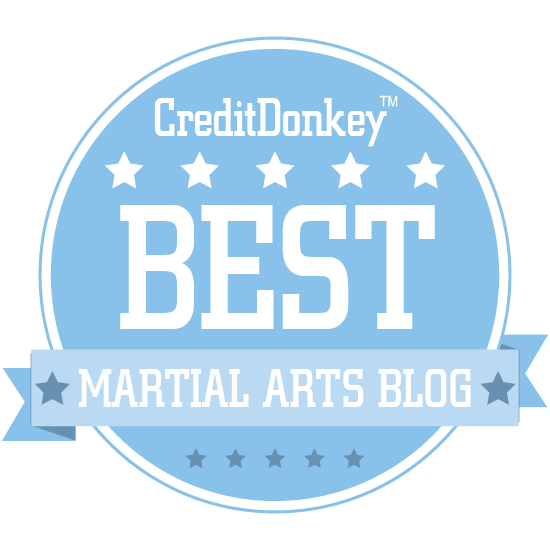 Not a terrible situation, but most people would expect that a martial art should do more than prepare you really well to work it out for yourself. A lot of teachers focus on this gap, but if this were so easily done, the old masters would've bridged it already. Thanks for reading and for your response Paul.